Once Nginx web server is up and running in a production environment, you will want to monitor its activity in real time. In fact, general network monitoring software such as Nagios, Zabbix, Munin provide support for real-time Nginx monitoring. 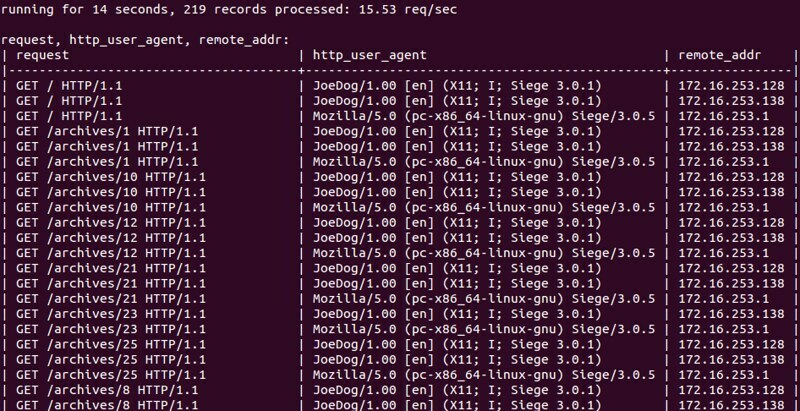 However, if you do not need comprehensive reporting capabilities or long-term statistics offered by such tools, but just want a quick and easy way to monitor the requests coming to an Nginx web server, I would recommend a command line tool called ngxtop. You will immediately tell that ngxtop (both its name and interface) is inspired by the famous top command. 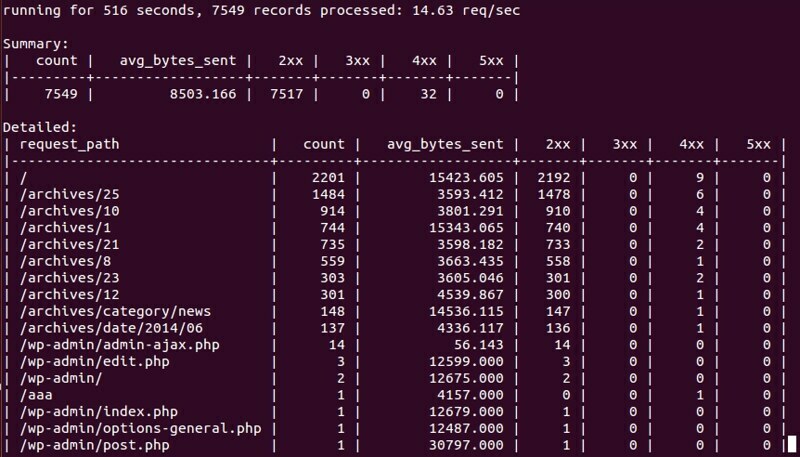 What ngxtop does is to parse Nginx access log file (and others such as Apache2 log), and display analyzed results via top-like interface in real-time. You can tout your sophisticated monitoring tool all you want, but it cannot beat ngxtop's simplicity, and simplicity is not something that cannot be dismissed. In this tutorial, I will describe how to monitor Nginx web server in real time with ngxtop. First, install pip on your Linux system as a prerequisite for ngxtop. Then install ngxtop as follows. The basic usage of ngxtop is as follows. Here are some of the common options. Here are built-in variables (represented as <var> in the above). Their meanings are self-explanatory. It will display 10 requests served by Nginx, sorted by the number of requests. If you want, you can customize the variables to display. For that, simply list variables you are interested in. "print" command will display individual requests. I'll recommend trying GoAccess, works much faster for us and scales well. Basically, I want to be able to be able to group by (IP address+http code). « What is a good terminal emulator on Linux?